An unforgettable tailor made experience suitable for all ages and abilities. Looking for a unique gift for a special occasion or a memorable way to celebrate? Gift vouchers can be purchased for any monetary value, to be redeemed against any of our DJ lessons and DJ courses. To buy your voucher, please contact our team. 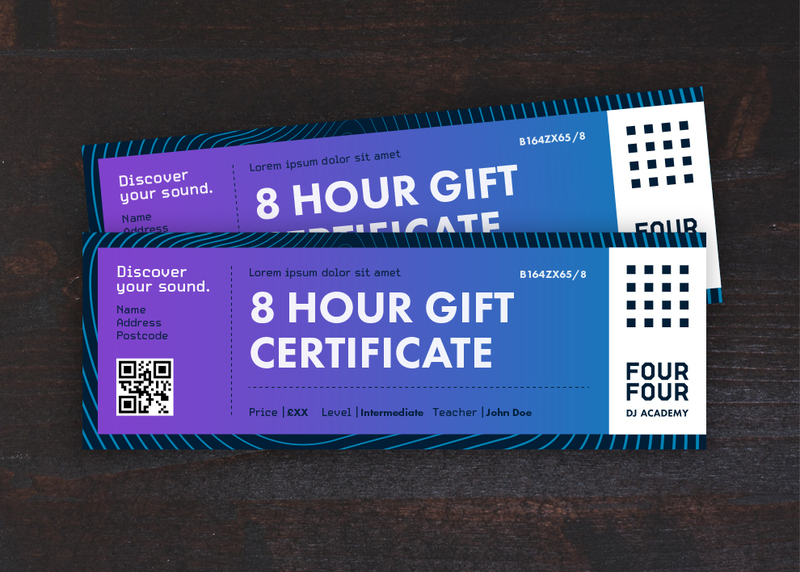 Already received a Four Four DJ Academy gift voucher? Have your voucher code to hand and click on the ‘Redeem’ button below. Enter your code in the ‘Apply Coupon’ section of the cart. The value of your voucher will be applied as a discount in your basket. Each voucher can only be redeemed once. Subscribe to our newsletter to get the latest news and exclusive offers.